I never met Jonathan in person. But his writing was so personal and intimate and his advice generously given and spot on, I felt in some sense I knew him. 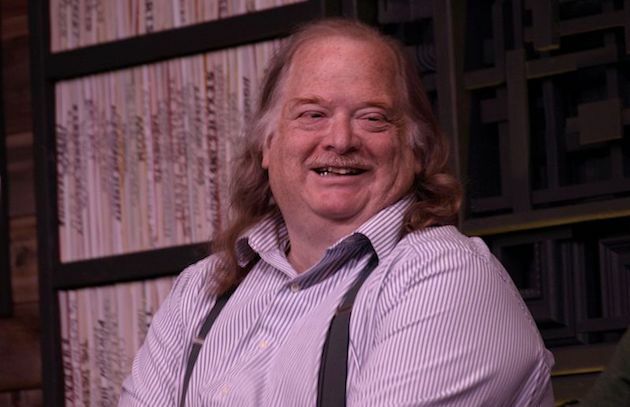 Jonathan Gold was the restaurant critic for the Los Angeles Times, of course, and he passed away earlier this week at the way-too-young age of 57. Actually, to identify him solely as a restaurant critic would be like calling Shakespeare a scriptwriter or Picasso a dauber of paint. Jonathan had a bloodhound’s nose for sniffing out authentic cuisine and pitch perfect prose for describing it. His reviews made you want to jump in your car and brave Los Angeles traffic at rush hour just to eat what he was eating. His reviews were always informative and entertaining, but they were never mean-spirited. He took equal delight in a strip mall noodle joint or a Michelin-starred restaurant. (The noodle parlor doubtless delighted him more.) His boundless curiosity was surpassed only by the intelligence of his prose. Jonathan spent endless hours crisscrossing Los Angeles County in a forest green pickup truck, discovering the city’s best kobee (Syrian bulghur and meat fritters), Salvadorian pupusas (cornmeal grilled cheese sandwiches), and Filipino sissig (vinegared pig’s head). He proclaimed Los Angeles the most exciting food city in America and his colorful prose helped make it so. It also earned him a Pulitzer Prize. For as long as I can remember, whenever I had a trip to Los Angeles looming, I would email Jonathan to ask for restaurant suggestions. He would always take the time to email back with restaurants that showed particular mastery of wood smoke and fire. Thanks to Jonathan, I became a regular at the Tuscan steak house Chi Spacca on Melrose, the Koreatown grill parlor Park’s BBQ, and the offal-centric restaurant, Animal, in Fairfax. Through Jonathan, I met the Michelin-starred French chef-turned-grill master, Josiah Citrin, at his restaurant Charcoal Venice, and the Australian butcher-turned-master chef Curtis Stone. A lot of his restaurant picks wound up in my new Project Fire TV show. And without him, I never would have sampled my favorite Los Angeles non-barbecued dish—toothpick lamb at Chengdu Taste in Alhambra. If you’re a Jonathan Gold fan already, you’ve probably seen the documentary about him, City of Gold. If you haven’t seen it, run—don’t walk—to Netflix it. Jonathan, wherever you are now, we thank you for your amazing work. I’m sure the angels are eating a lot better in heaven with you now there to guide them. Bludso’s Bar & Que (Compton): As close as Los Angeles gets to a classic Texas barbecue joint. Charcoal Venice (Venice): Josiah Citrin’s causual California cuisine (don’t miss the duck) cooked on a charcoal-burning Big Green Egg, Josper Oven, and charcoal grill. Cassia (Santa Monica): Bryant Ng’s big-flavored Asian-inflected cuisine, much of it grilled over almond wood. Chi Spacca (West Hollywood): Nancy Silverton’s Tuscan steak house, with monster cuts of locavore meats soulfully seasoned and grilled over almond wood. Gwen (Hollywood): Brothers Curtis and Luke Stone bring French culinary finesse to Australian Wagyu and 80-day-aged Angus, deftly grilled over a wood-burning asadopit, Uruguayan-style braseiro, and Josper oven. Odys + Penelope (Hollywood): Part churrascaria, part steakhouse, part smokehouse, this South La Brea restaurant uses four different wood- burning cookers to turn out high style barbecuing and grilling, like lettuce cups filled with smoked lamb and hummus. Otium (downtown L.A.): Fine dining meets Los Angeles ethnic over a massive wood-burning grill manned by classically trained chef Timothy Hollingsworth. Park’s BBQ (Koreatown): Where else do you get diamond-cut kalbi (beef short ribs) grilled over binchotan charcoal, and a panchan(Korean salad and condiment spread) that expands exponentially with the number of diners in your party? Photo Credit: Courtesy of PunkToad on Flickr.